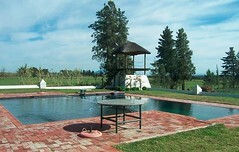 Wine, olive, fruit, livestock guest farm for sale around Wellington in the Cape Winelands distrct of the Western Cape of South Africa. 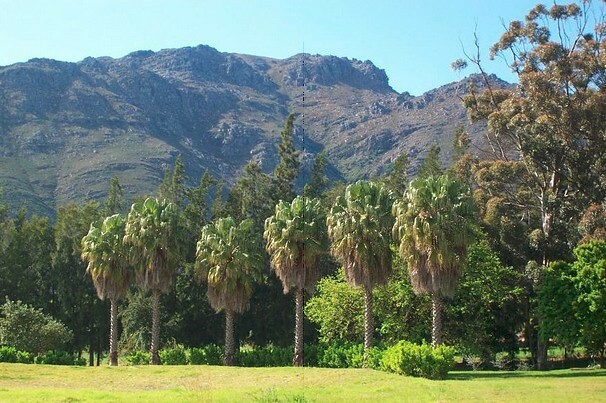 About 15 minutes drive from a quiet Winelands town of Wellington, nestled deep behind Greenberg Mountain, on the slopes of Drakenstein, lies a farm not many know about. Despite it's size of nearly 1200 Hectares, it is hidden away from prying eyes and only a select few come to visit. 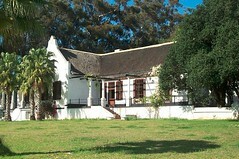 The farm boasts a very long history, it's main building having been erected in 1811. Some additions were made to it in 1948, at the same time as the then owner decided to open a winery, which was also built in the old colonial style to match the ensemble. Thick walls (some up to half a meter), thatched roofs and enormous windows with natural wooden frames make one feel, like he is back in 19th century. 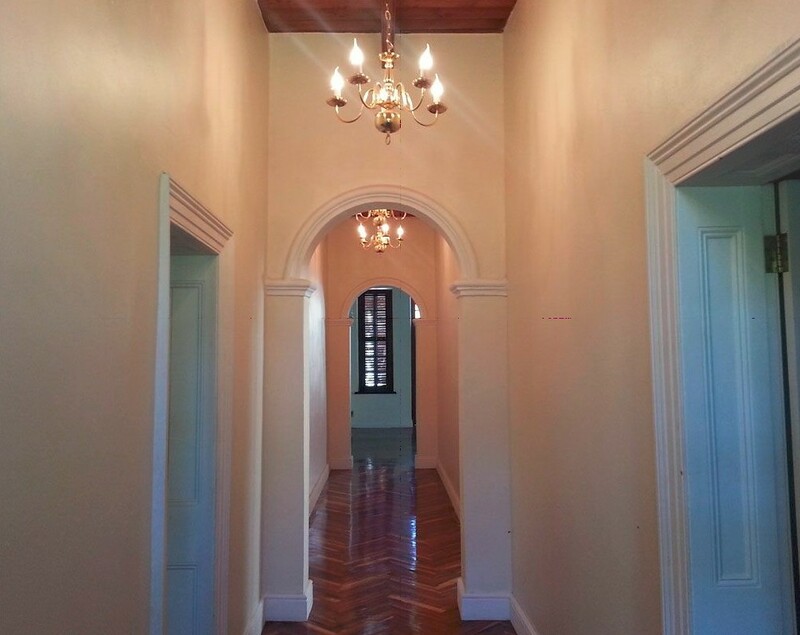 The interior of the main building was carefully renovated by the new owners, restoring it's to it's former glory, while taking care of installing the modern amenities of the 21st century. Nature is very generous on The farm. 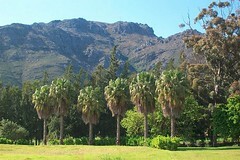 Typical Western Cape climate with long hot summers (temperature peaks at 44°C) and cold rainy winters, providing the abundance of water for The farm's two dams, fertile soils, suited for variety of farming activities, stunning views - truly make The farm a unique property, that stands ou among the rest. 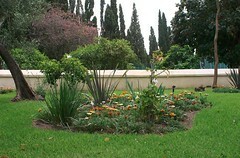 Over the years, many things have been grown on The farm. From potatoes to pears, from onions to plums - the list can go on. Eventually, though, it has finally came to be what it is now. Best and most fertile soils are under vineyards (currently 24Ha, with possibility of expansion to 100Ha), which thrive in an ideal climate, protected from the pounding south-easter by long windbreaks. A small (about four hectares) plantation of oil olives (lucino variety, with some mission trees providing cross-pollination) provides the farm with plentiful harvests and is currently in the process of becoming a fully organic production. Hiding in close vicinity of one of The farm's dams is an even smaller plantation of figs, which provide two harvests a year. By far the biggest portion of the farms' arable land is dedicated to cattle camps. About 400 hectares of soils, not too well suited for grape or olive production, but are rich enough for Lucerne and ideal for keeping a herd of up to 400 animals. The rest of the land is pure nature. 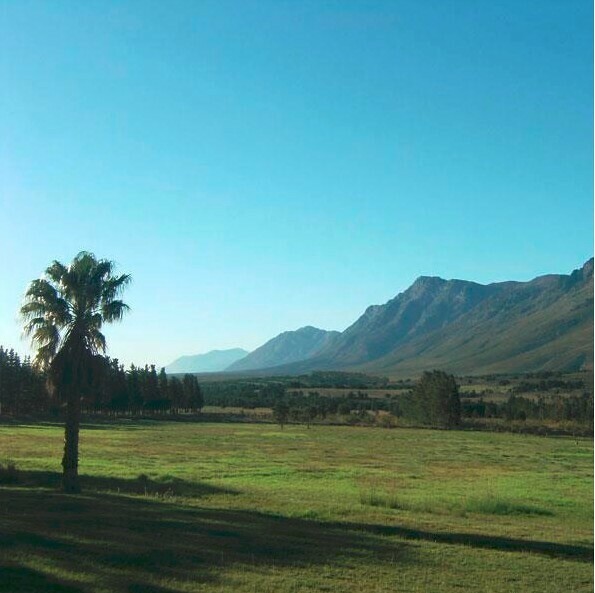 Fynbos, wild proteas and Buchu cover the slopes of Drakenstein mountains, providing natural habitat to quite a variety of wildlife on the farm. Babboons, Springboks, Takbok, to name but a few. 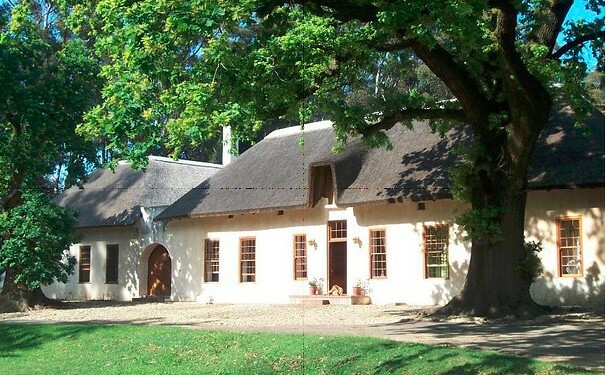 A hidden gem of Winelands, The farm welcomes you! The farm is situated in the Wellington wine region of Western Cape, known for it's quality wine grapes. The combination of right climate, fertile soils and our passion for wine all transfer into some of the best grapes of the region. There is enough soil on the farm to plant up to 100 hectares of wine grapes, however we keep our operations small. 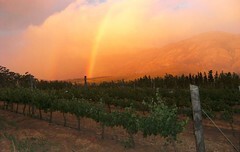 Currently the farm has just over 24 hectares under grapes, most of them being of the red varietals. Our grapes include Pinotage, Cabernet Sauvignon, Shiraz and Riesling. To control the quality, we limit our harvest to no more then 8 tons a hectare. As almost elsewhere in the region, our grapes are handpicked, thus ensuring minimum damage to the bunches and promptly delivered to the winery for processing, maintaining optimum freshness. Due to economic climate, the farm currently does not produce it's own wine, instead we supply some of the best wineries of the area. Set against a breathtaking backdrop of Drakenstein Mountains, the farm provides the perfect setting for almost any event you can think of, from simple braai to bachelor or corporate parties, birthdays, year-end parties and product launches and presentations. 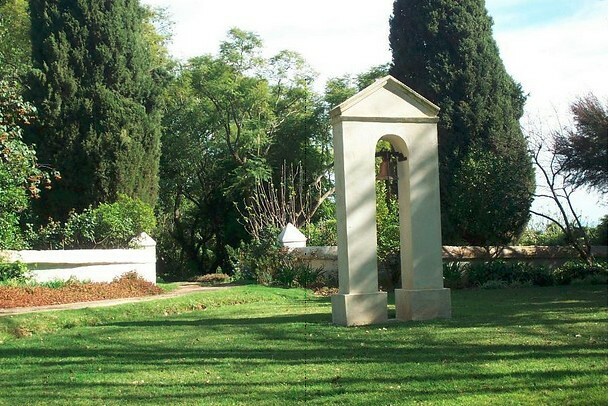 The location, with its wealth of trees, vineyards and beautiful views, will, no doubt, provide a relaxed and peaceful atmosphere essential to enjoy your function. We treat each party as VIPs, no matter the size or the budget, and we tailor make the package according to your needs, from cutlery to catering, from DJ to whatever else you may require. 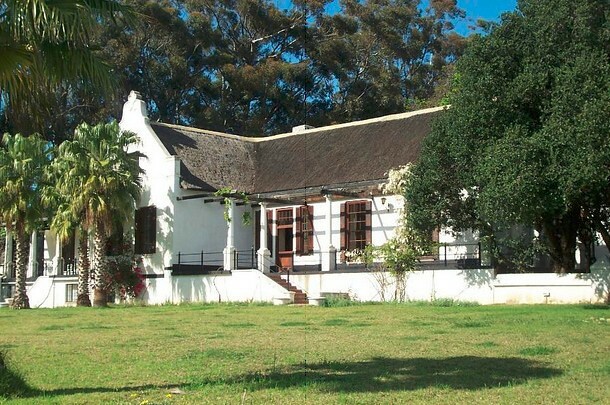 The venue can accommodate up to 60 guests that can dine in the comfort and style of the banqueting hall of the main farmhouse, or a much bigger crowd, should you opt for an outdoor option. 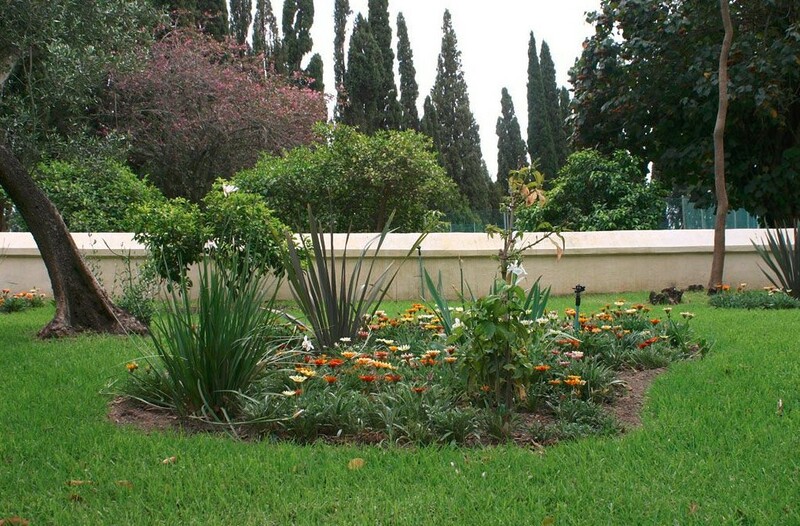 An outdoor function will enable you to share our superb surroundings with a much larger number of guests, up to 120, relaxing and enjoying themselves on luscious lawns and in the pool area. 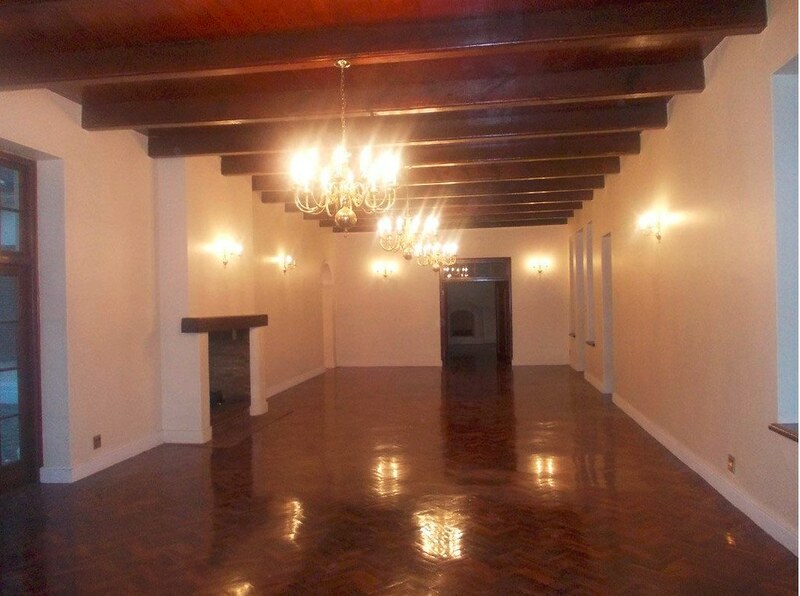 You also have the option of utilizing a Bedouin Tent, which we will gladly arrange for you. Part of the excitement of planning a function is choosing a menu. We offer a selection of Canapés, Starters, Salads, Main Course and Desserts, from which you can compile you ideal menu. Spit braais are also available. We will help you decide on a variety of courses to suite your budget and the theme of the function.